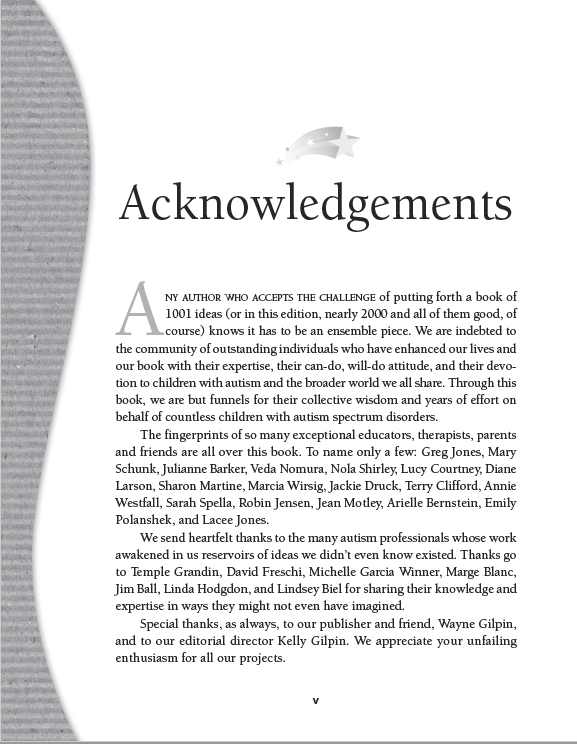 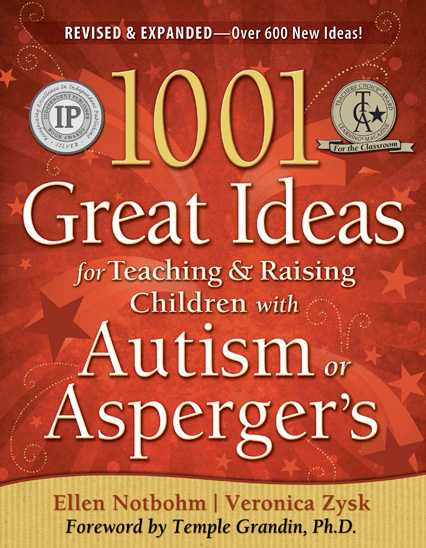 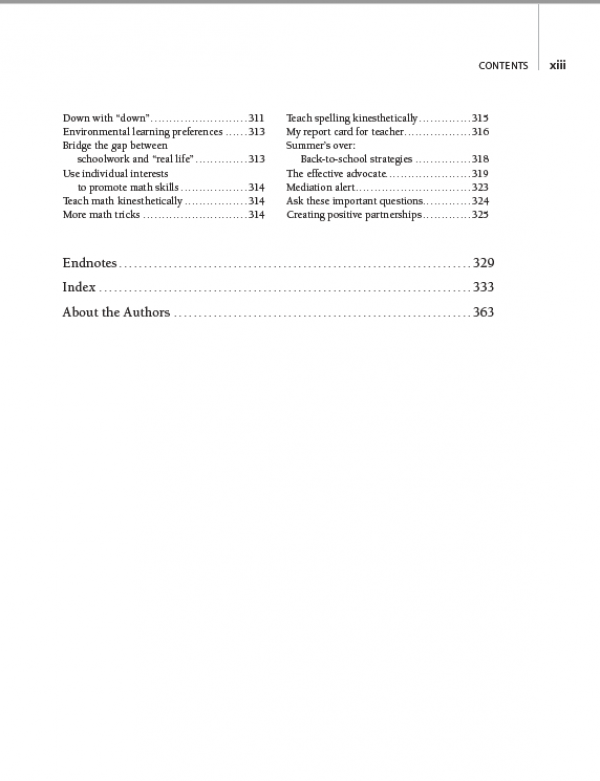 1001 Great Ideas has been a treasured resource in the autism community since 2004. 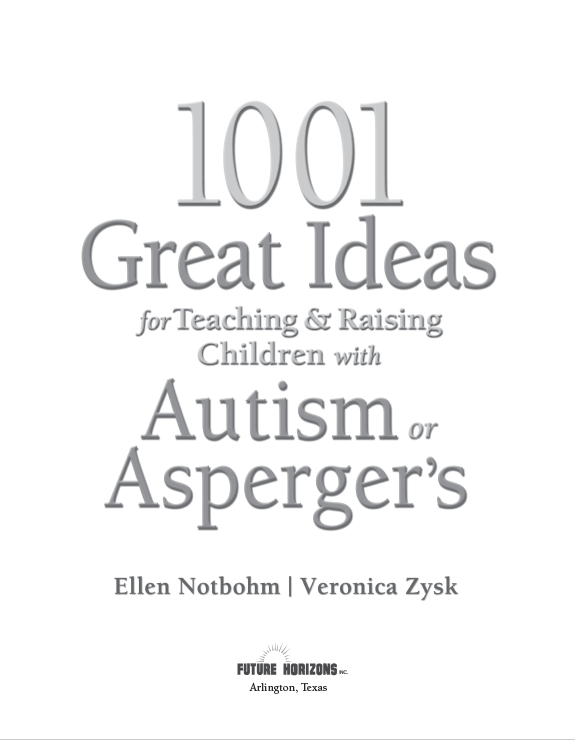 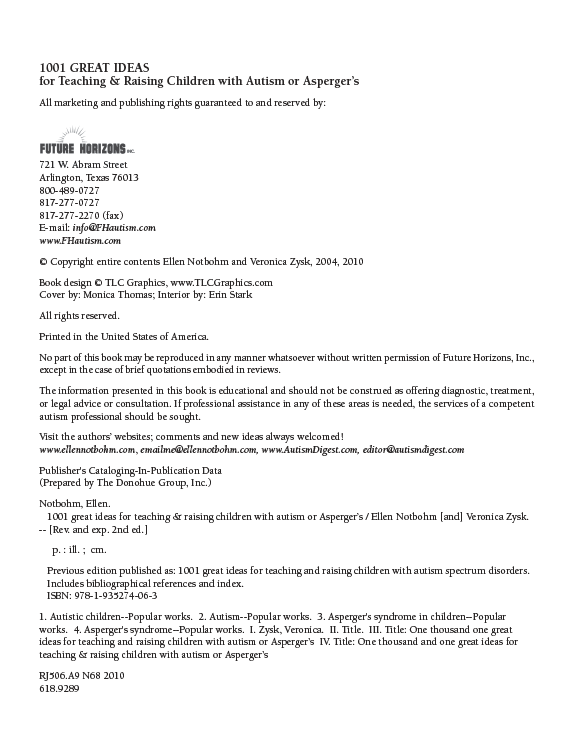 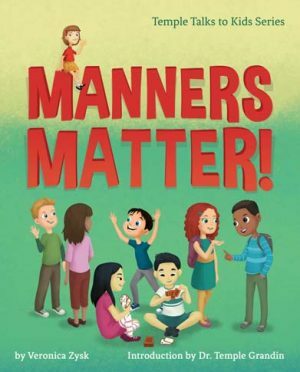 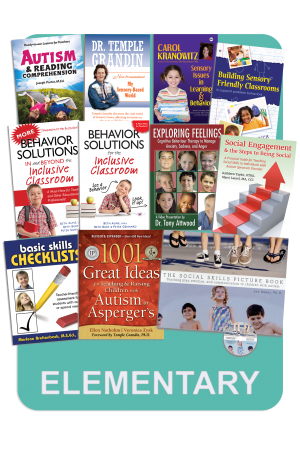 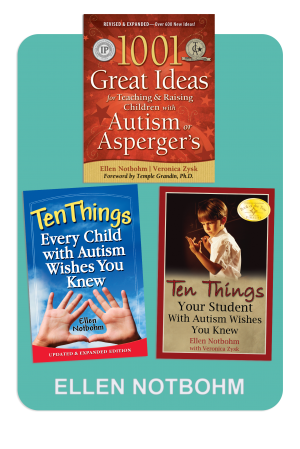 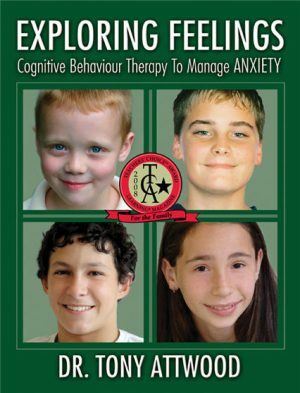 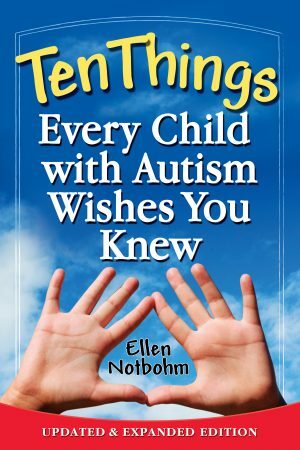 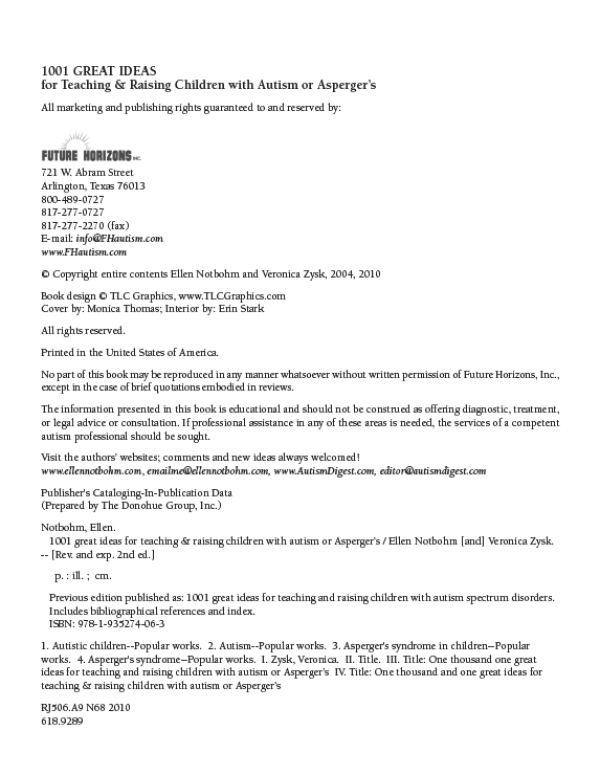 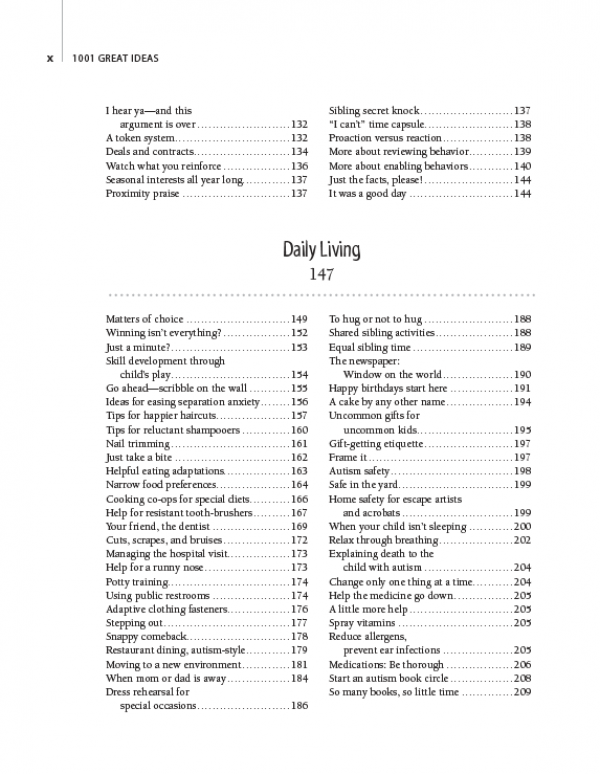 In this expanded second edition, Ellen Notbohm (best-selling author of the revolutionary book Ten Things Every Child with Autism Wishes You Knew) and Veronica Zysk (award-winning author and former editor of Autism Asperger’s Digest magazine) present parents and educators with over 1,800 ideas try-it-now tips, eye-opening advice, and grassroots strategies. 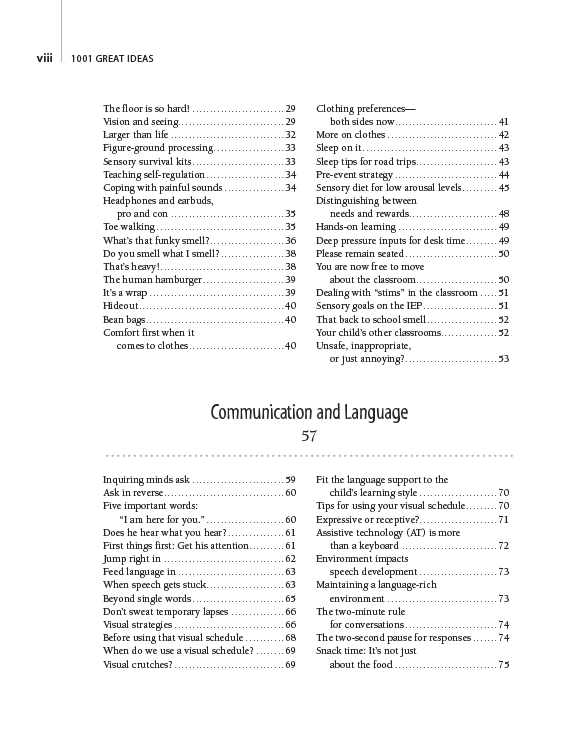 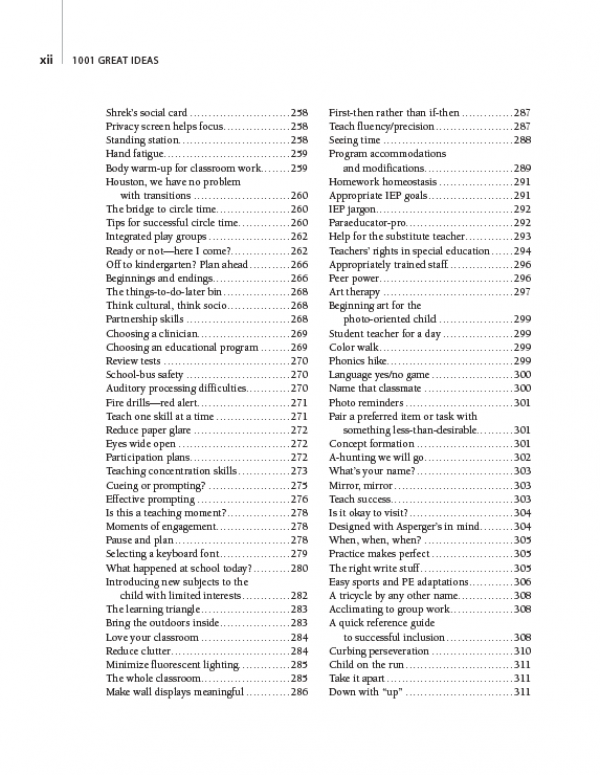 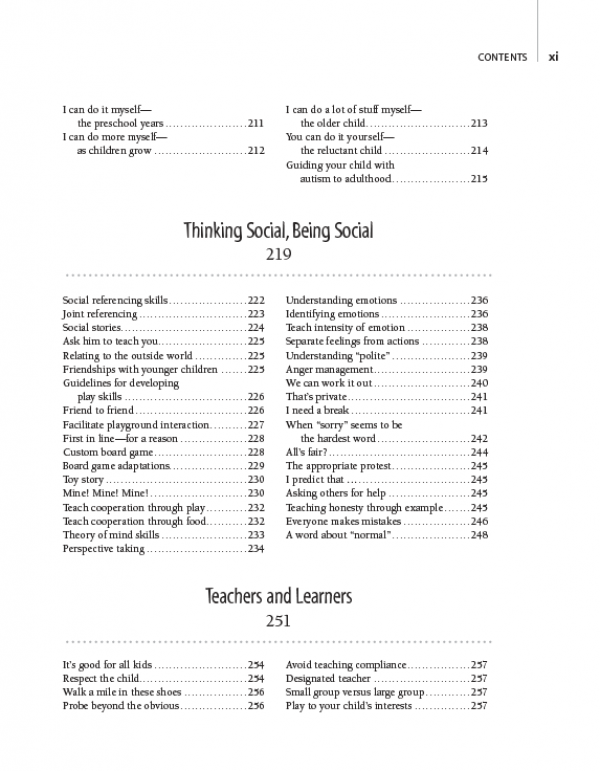 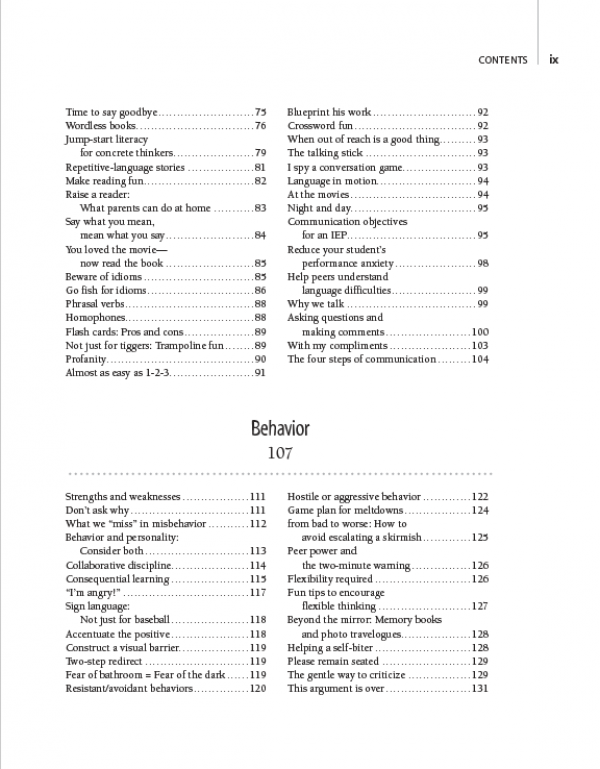 More than 600 fresh ideas join tried-and-true tactics from the original edition, offering modifications for older kids, honing in on Asperger’s challenges, and enhancing already-effective ways to help your child or student achieve success at home, in school, and in the community. 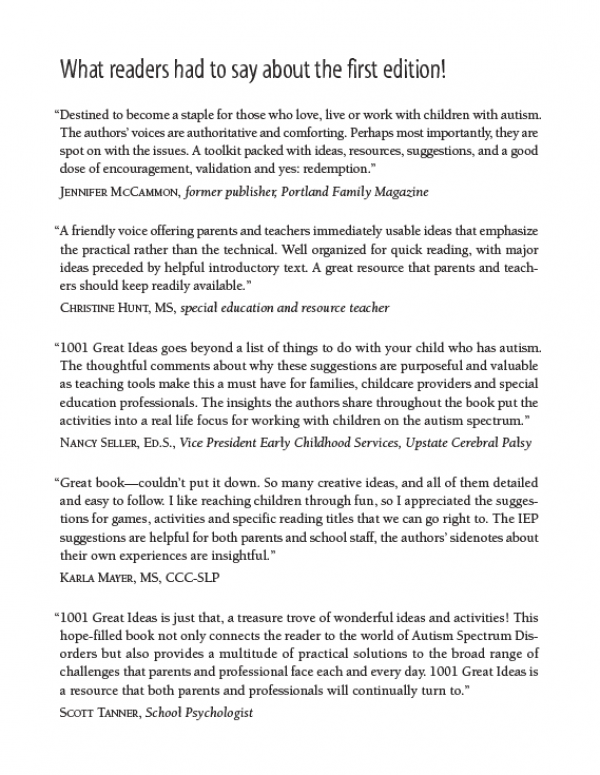 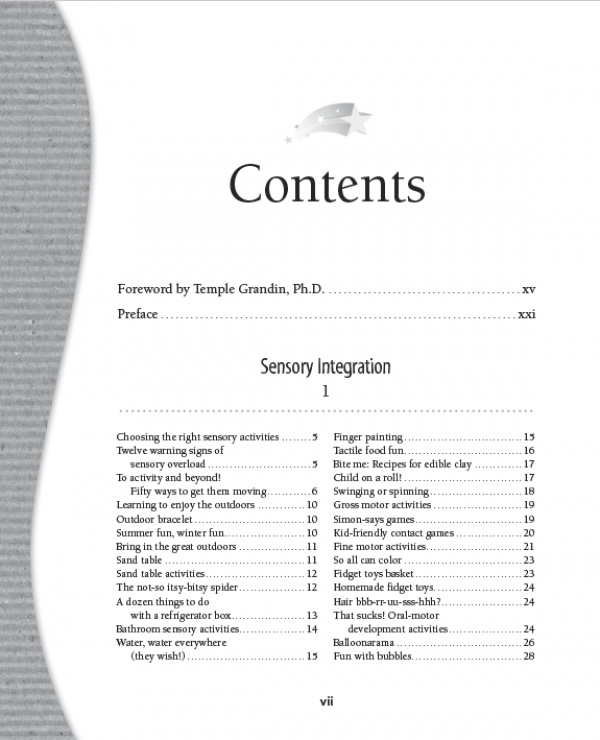 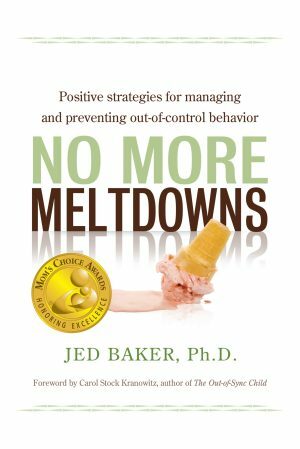 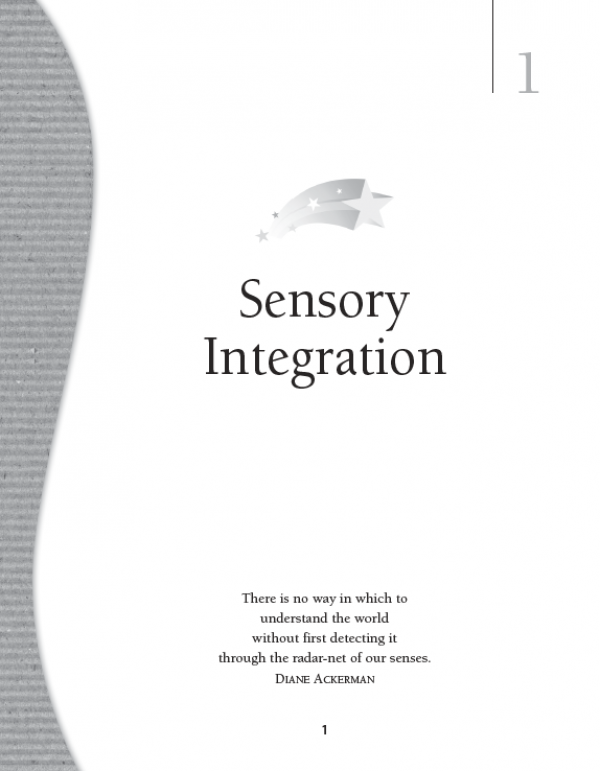 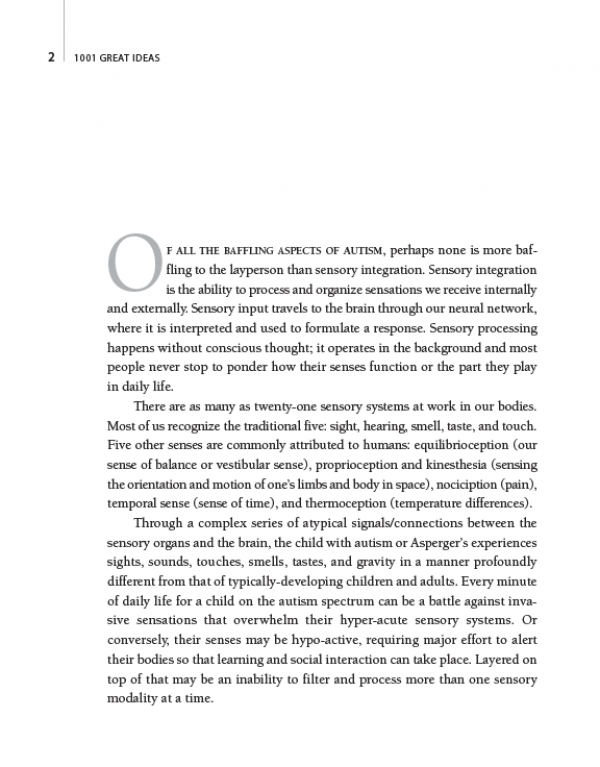 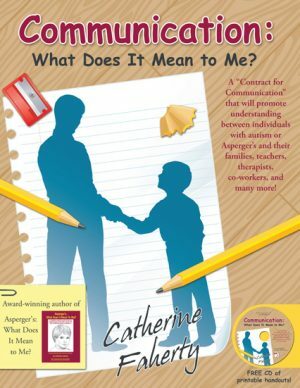 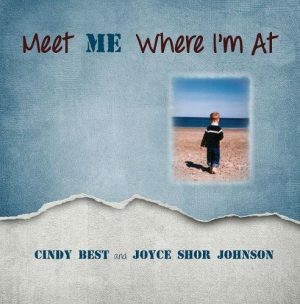 This one-stop-shop of solutions, explanations, and strategies guides the reader to quickly find ideas that speak to the variety of developmental levels, learning styles, and abilities inherent in children with autism and Asperger’s.